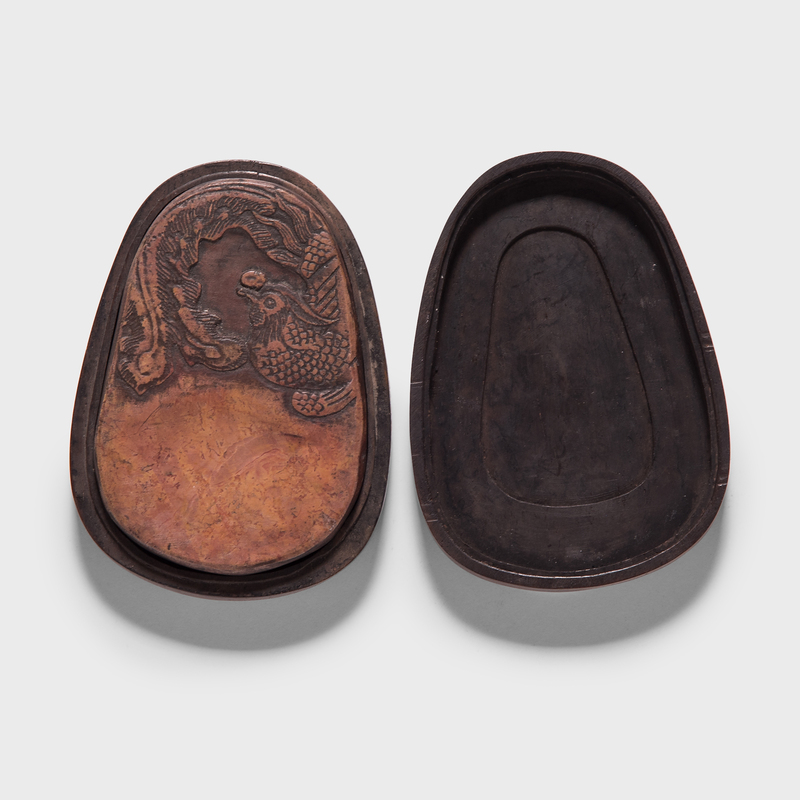 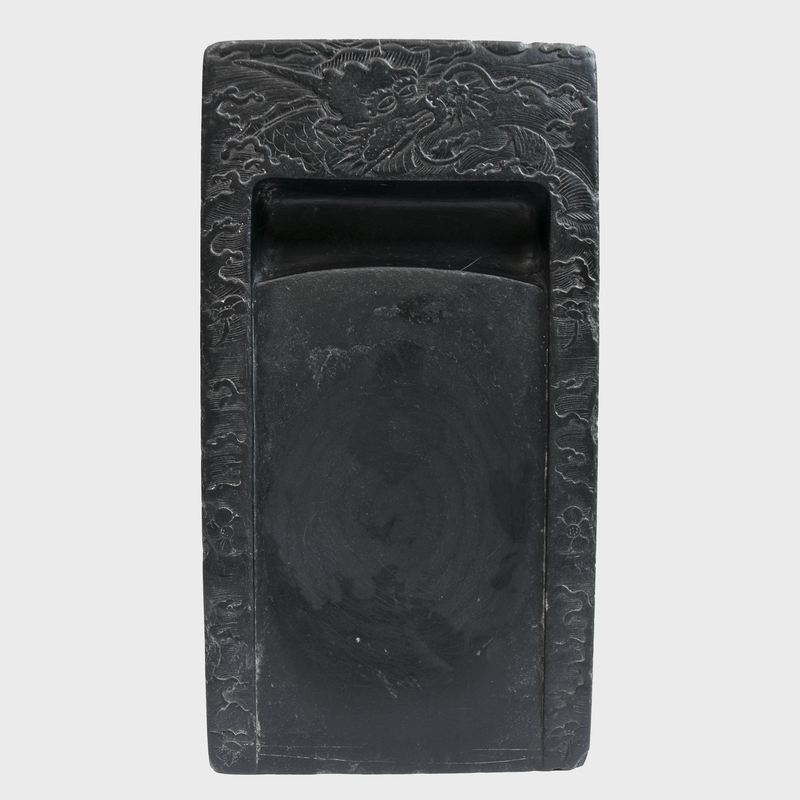 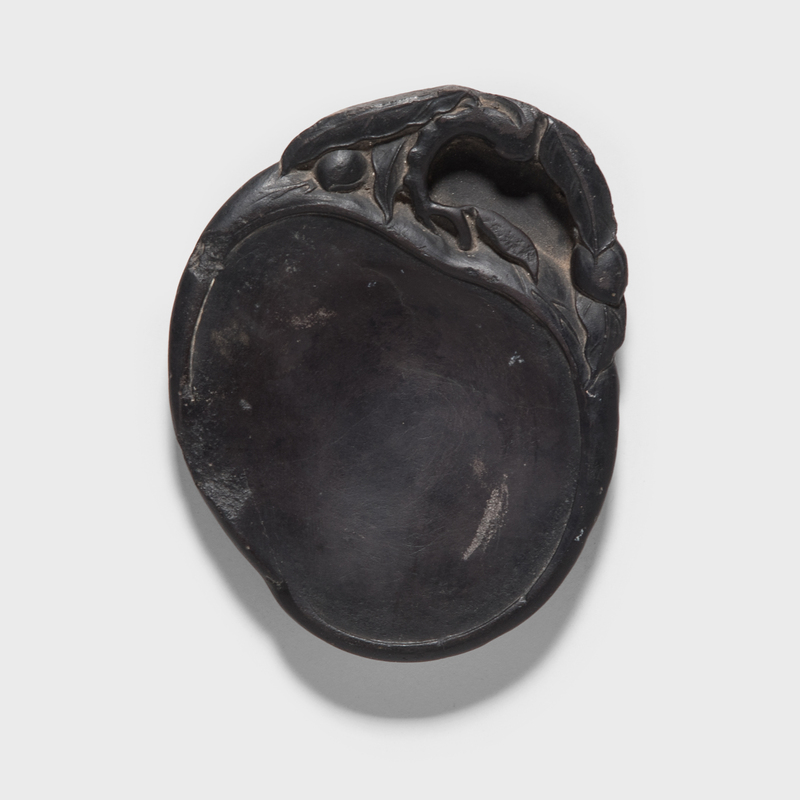 W: 5.0" D: 4.0" H: 0.5"
A scholar chose this peach-shaped inkstone to mix dry ink with water for use in calligraphy or painting. 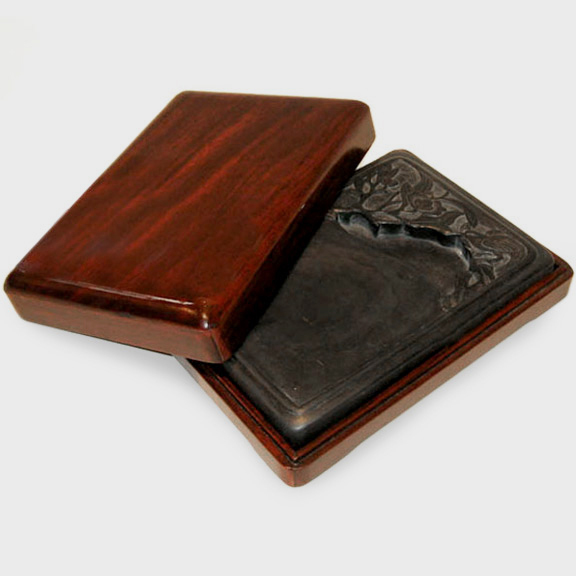 In traditional Chinese culture, peaches are symbols of longevity and, as such, appear widely as motifs in art. 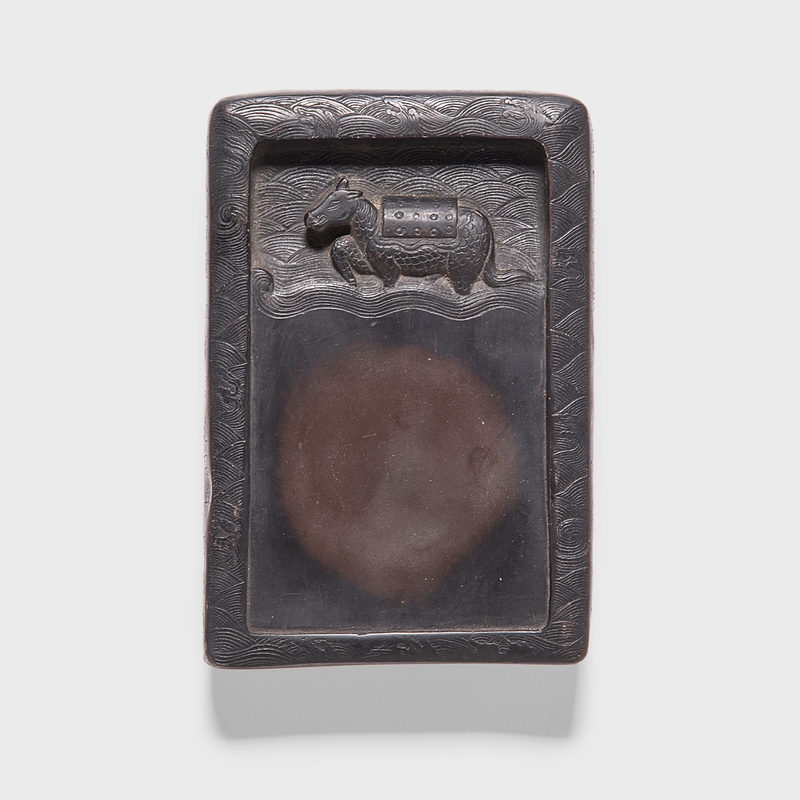 The inkstone has a separate well for water, and its surface has aged beautifully after a century of use.